A Contraband Camera: Photos Of World War II WASP : The Picture Show Lillian Yonally was one of the few women with a camera during her WASP service from May 1943 to December 1944. 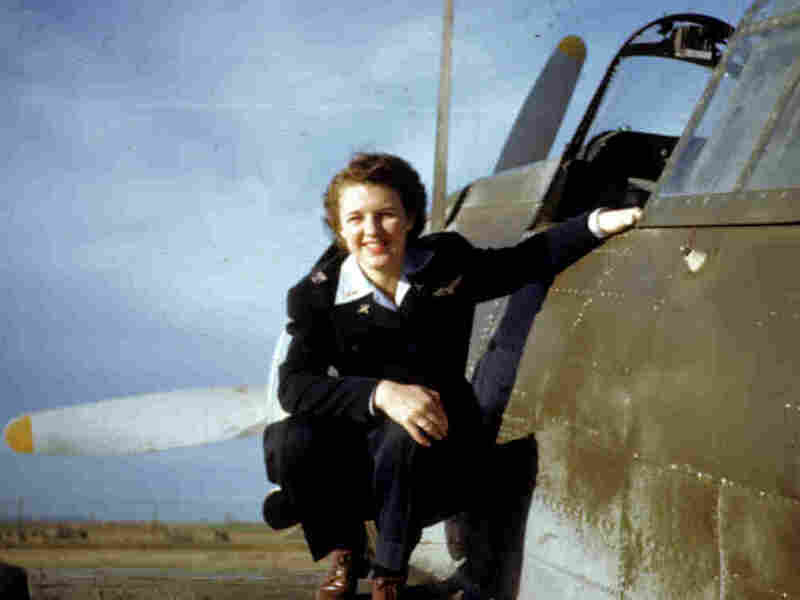 Her color photographs offer a rare glimpse into the short-lived program and the female pilots who were ahead of their time. For those who weren't alive then, it can sometimes seem as if World War II took place in black and white -- no doubt the result of absorbing countless historical photographs. In contrast, Yonally's color shots, gauzy and toned with primary blues, greens and reds, look as if they were plucked from a daydream. Yonally, now 87, was one of about 1,100 young women in the Women Airforce Service Pilots, a short-lived military program known as WASP that trained civilian volunteers to fly planes stateside so men could report overseas for combat duty. The women, who were required to have previous flight experience, trained at Avenger Field in Sweetwater, Texas, and then were stationed at 120 Army air bases within the U.S.
NPR Photo Editor Coburn Dukehart and I interviewed Yonally to find out what it was like to be part of the first group of female military pilots. You can hear her talk about her experiences and view her rare color photographs in the slideshow below. Yonally's father gave her a camera, an Argus C3, which she said was considered contraband on base. It didn't stop her from shooting, though, and she took photos of her friends, the planes she flew and her instructors. She would mail the film back to Boston, and her dad would develop it into color slides. This way, she thought, her family could see what she was up to, and she would have a record of her experience waiting for her when she got home. Lillian Yonally on the wing of a Douglas Dauntless during her service as a WASP. And then there are the stories behind the photos themselves. 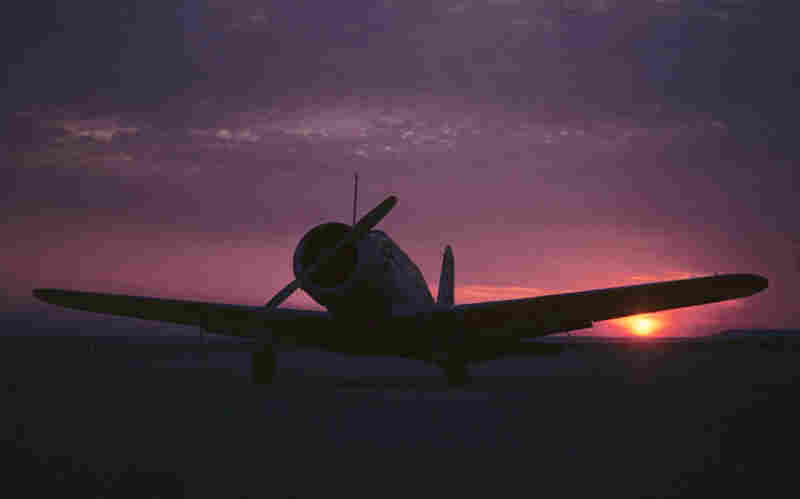 One of a plane -- a BT-13 -- with a pink and purple sky bursting in the background was meant to show her family that she was up at dawn. Yonally, it turns out, was never known to get up early. Another is of a wishing well at Avenger Field, where the young pilots celebrated after passing tests. 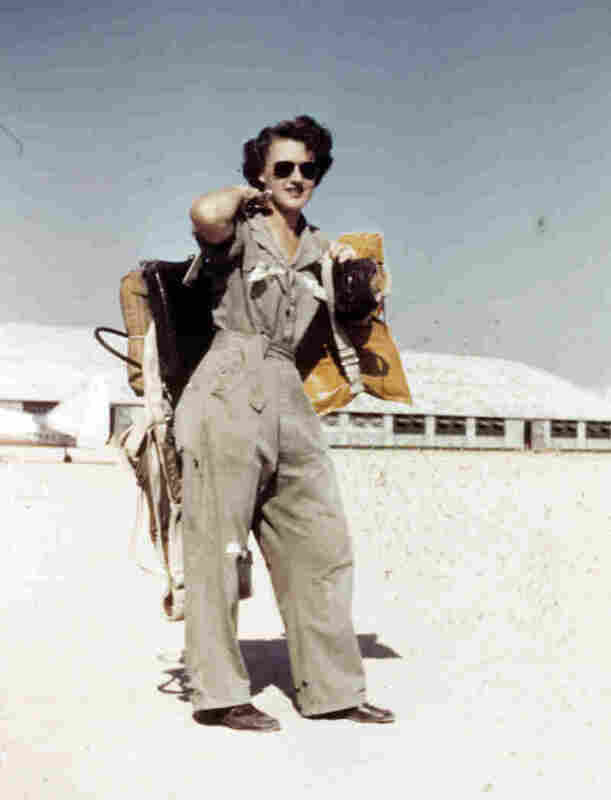 Another image shows Yonally in a jumpsuit and holding a US Air Corps mailbag --taken to show her family her new training attire. We also wanted to know whether Yonally and her fellow pilots realized just how truly special the WASP program was. She got most excited while talking about the act of flying and about women in flight. She is clearly passionate about both, but Yonally is, like the other WASP featured in Susan Stamberg's story and those in an accompanying interactive, unassuming about her duty. "I don't think I took time to think about it," Yonally told us. "I just thought it was a wonderful opportunity, and we were very gung-ho for it." Nevertheless, she says, the photos capture the start of showing "that women could do anything."